After the Mukden Incident, Japan had acquired the vast northeastern region of China and would eventually establish the puppet government of Manchukuo. However, the Japanese military planned to increase Japanese influence further, especially into Shanghai where Japan, along with the various western powers, had extraterritorial concessions. In order to provide a casus belli to justify further military action in China, the Japanese military instigated seemingly anti-Japanese incidents. On January 18, five Japanese Buddhist monks, members of an ardently nationalist sect, were beaten near Shanghai's Sanyou Factory (traditional Chinese: 三友實業社; pinyin: sānyǒushíyèshè) by agitated Chinese civilians. 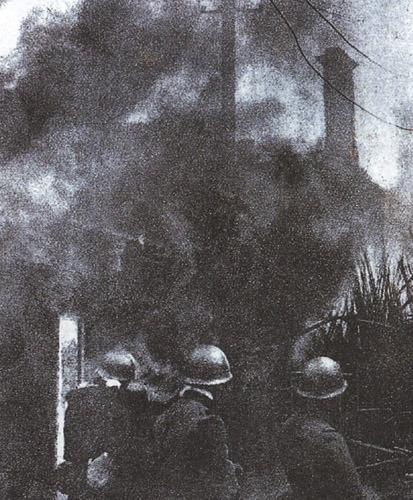 Over the next few hours, a group burnt down the factory (sources argue this was done by Japanese agents, though it might have been carried out by Chinese in response to the Shanghai Municipal Police's aggressive anti-riot tactics in the aftermath of the beating of the monks). One policeman was killed and several more hurt when they arrived to quell the disorder. 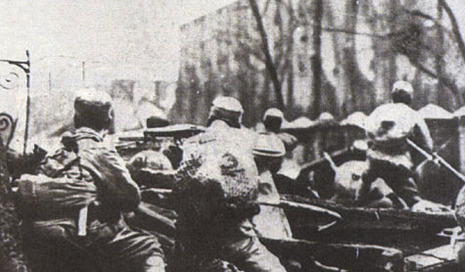 This caused an upsurge of anti-Japanese and anti-imperialist protests in the city and its concessions, with Chinese residents of Shanghai marching onto the streets and calling for a boycott of Japanese-made goods. 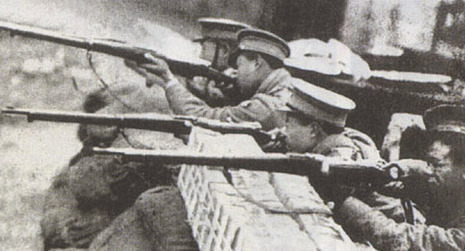 In Chinese literature it is known as the January 28 Incident, while in Western sources it is often called the Shanghai War of 1932 or, more simply, the Shanghai Incident. In Japan it is known as the First Shanghai Incident, alluding to the Second Shanghai Incident, which is the Japanese name for the Battle of Shanghai that occurred during the opening stages of the Second Sino-Japanese War in 1937.